“I have always lifted weights assuming that I would just get bigger and maybe it was just ‘genetics’ that kept me from having abs. Without any guidance, I arrived in 2009 bigger but only with more fat and little muscle gain. I continued to lift and added MMA into my life. I never looked into my diet; I had always believed nutrition was overrated. But then I started listening to a Joe Rogan podcast where I heard Mike Dolce for the first time and I was introduced to the Dolce Diet principles. Close to giving up hope on the coveted six-pack, a family member got me a copy of the Living Lean Cookbook for Christmas. Still not quite a believer, it unfortunately sat on my shelf till February. It wasn’t until I started listening to a Dolce podcast did I fully embrace the Living Lean lifestyle and I picked up the book instantly. Within a month and a half, my six-pack appeared and with time to spare before beach season, I couldn’t believe how fast it worked. I now know that genetics are not an excuse and my summer will consist of more time without a shirt than any other summer. Thank you Coach Dolce for the help and I never hesitate to pass The Dolce Diet on whenever I hear someone mention weight loss! 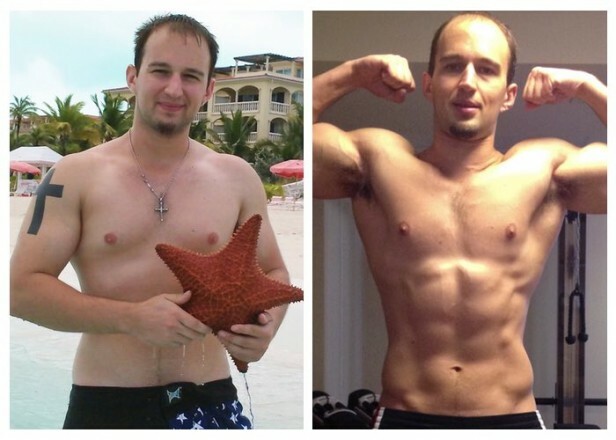 Boom!” – Nick Stephens, 26 y/o, followed Living Lean.